Police are appealing for witnesses following a serious collision on the A14 at Huntingdon this morning (Tuesday September 19). 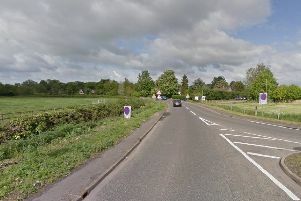 The collision happened on the eastbound carriageway between Spittals and Godmanchester at about 6.50am and involved a silver Volkswagen Transporter van and a grey Peugeot 3008. The driver of the Peugeot suffered minor injuries and was taken to Hinchingbrooke Hospital as a precaution. Anyone who witnessed the collision, or either of the vehicles in the moments leading up to the collision, is asked to contact the road policing unit on 101 quoting incident 58 of today (September 19).